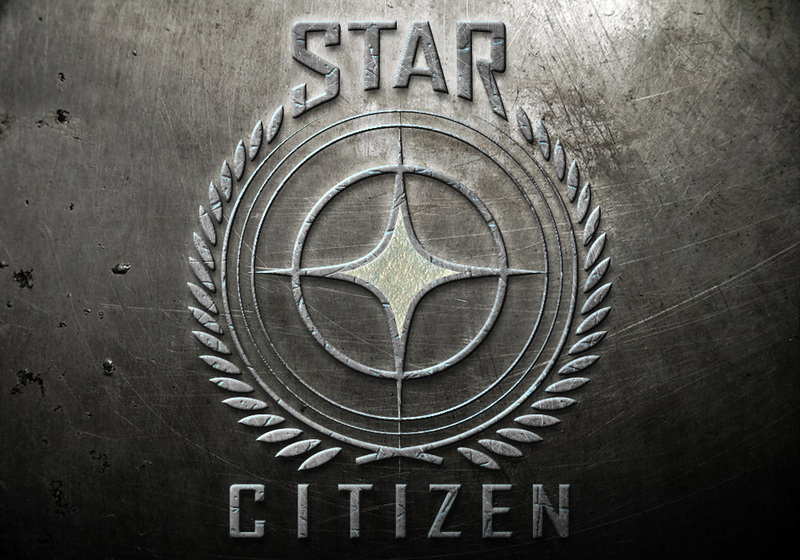 Star Citizen has had a pretty major year in 2018 with significant milestones and functionality releases which have pushed things to the point where it is becoming a game. 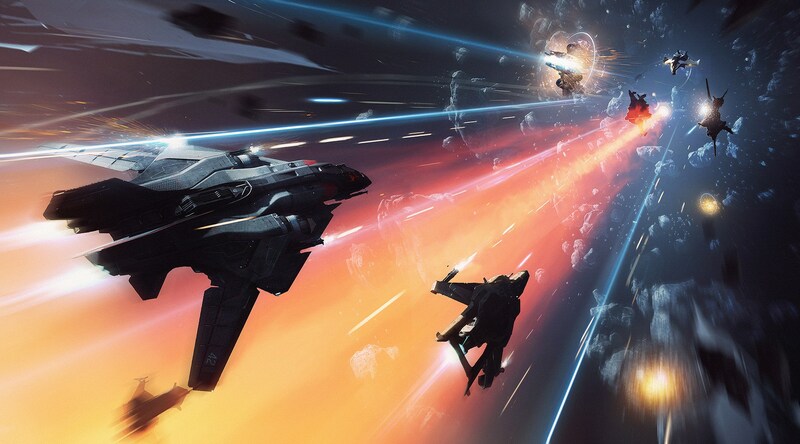 Of course various controversies have struck as they always do with CIG and Star Citizen but on the whole, things have been progressing and major releases included significant performance boosts and a massive increasing of the size of the playable universe. On the funding side, this was the year that CIG crossed the $200 million threshold (currently sitting at $211,450,615 at time of writing) and despite numerous past predictions of doom from certain quarters, things seem to be going according to plan with the company continuing its expansion and now sitting at about 500 staff globally. Today, we look at a few major pieces of news which have come out of CIG. Cloud Imperium (both the UK Ltd and the US LLC legal entities) have agreed a private investment from an external party amounting to approximately $46 million in exchange for new shares being issued (113,861 in each of the UK and US entities), amounting to approximately 10% of the overall company. This gives the various entities a combined valuation of approximately $496 million once the new money is taken into account. Two new board members join the boards of both the UK and US entities, these being Dan Offner, representing the new investors (Clive and Keith Calder), as well as Eli Klein who is a long-time friend of Chris Roberts and has apparently been a sometime advisor in recent years. Board and company control remains with Chris Roberts as Chairman, CEO and majority shareholder. 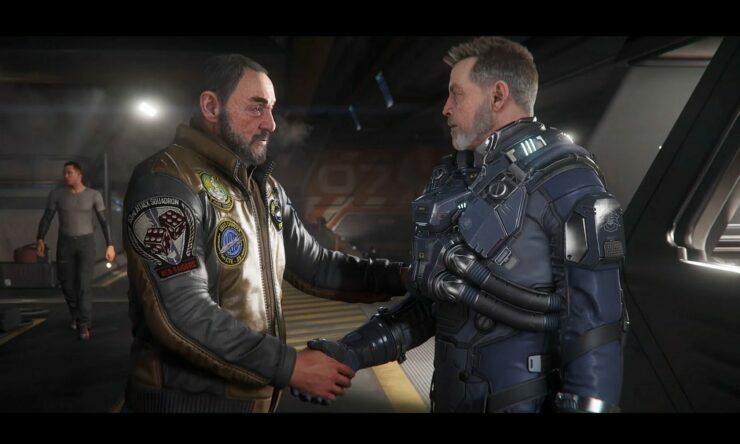 Money to be used for marketing and business development initiatives as Squadron 42 and Star Citizen head towards launch. CIG will release full historical financial details from 2012 through to 2017 via a new corporate website. Squadron 42 roadmap released and is expected to be feature complete by the end of 2019 with alpha/beta in 2020. It’s important to note that the information release about the investment takes the form of a “Letter from the Chairman” so it’s clear the CIG are reaching out to fans first although a limited number of games/finance publications (like us here at Wccftech) have been informed prior to the release, such was the significance of the announcement. Expect numerous people/pubs to pore over the historical financial details in great detail in the coming days and weeks. It’s important to note that although many will review the numbers, corporate earnings and results should not be taken lightly and there are numerous nuances in finance which mean that (much like court cases), non-expert interpretation of these numbers should be taken with a pinch of salt (yep, you know who I’m talking about!) Given that CIG is not a publicly traded company, the form the financial statements will take is unclear and we’ll see what they put out shortly. At this stage, really all we know is that CIG has taken a significant investment from a third party and who that party is. The Letter from the Chairman is quite clear about a few things though. Most significantly, that traditional venture capital money was shunned specifically because CIG was worried about appropriate levels of understanding into “what makes our company tick and pushing us towards short term decisions”. Additionally, that pledging will still make up the funding for the development of the game, while the new money is put towards surrounding business activities. It’s also important to note that at the same time as a new board appointee gets announced to represent the new shareholders, another new board appointee who is a long-time friend of Chris Roberts is also appointed. Some would speculate that this is to ensure that overall control of the board remains with Chris and people who are loyal to him, however it’s worth also considering that board members are commonly appointed to represent the interest of significant shareholders (although not always, as was the case when Vivendi was pursuing Ubisoft). It may be that the Calder’s could offer up industry contacts that both sides thought could add value to the corporate decision making and oversight process which is supposed to be within the purview of a board and much like an investment from SoftBank carries significant benefits and access to the company invested in, this could simply have been nothing more than that. Time will tell. What can we conclude from this? At this stage not much other than the fact that CIG has just taken a step towards the big leagues of game developers. The terms of the deal are unknown such as whether any voting rights were given, expectations of future return whether in the shape of an eventual dividend or capital appreciation via an eventual float on public markets, lock ins associated with the investment or indeed senior staff, the ability to seek out new investment or the ability of the new investors to sell their investment on at a later date are all important factors to be considered, however it’s important to be aware that this is how the erosion of control in a company can begin. One thing is clear, investors expect a return on their investment somehow and at some point in time. Everything that Chris Roberts and CIG are saying at the moment seems designed to reassure backers that the enormous vision they have bought into and the overall ethos of the company is not changed by this new investment. The financials release implies that CIG are confident enough that it will show they were not negotiating for the Calder’s investment with their backs against the wall, on the verge of running out of money and were able to secure funding in a manner which doesn’t jeopardise the current way in which the company is run and the product produced. Long term questions over funding and revenue model remain and I’ll be trying to get some airtime with company insiders to ask questions about what (if anything) is expected to change as a result of this announcement. At time of writing, the release was not public so the source link takes readers to the main CIG backer communication page, the latest entry which should be the Letter from the Chairman.